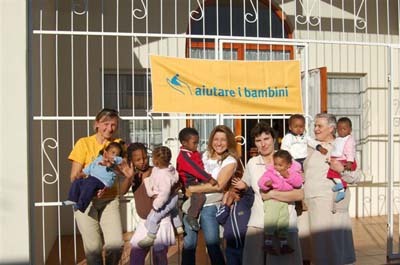 “Aiutare i bambini” is a lay and independent non profit organisation founded in 2000. Its mission is to “aid and support children suffering from poverty, sickness, lack of education or who have experienced physical or moral violence, by offering them the opportunity and the hope for a life that is worth living”. South Africa is among the worst countries in the world in terms of inequality in the distribution of income; poverty is concentrated mainly among blacks and mulatto africans. Following the rules of racial segregation of the apartheid, Oudtshoorn is divided in three residential zones: one for whites, one for coloreds and one for blacks. Coloreds and blacks quarters are in a state of poverty and degradation. The main causes of such a situation are unemployment and the high rate of HIV infection. The frequent interruption of the studies does not permit to the children to have a right social adjustment, leading to a future uncertain and using to expedients. Girls are often victims of sexual exploitation carried out by criminal organizations. Such problem is an additional vehicle to the exposure to the risk of HIV. The majority of the constructions are not in condition to offer to the families a decent housing, many of them of are obliged to live in plate houses and social welfare services are totally insufficient. The project is part of a cooperation started in 2007 with “Solidarmondo”. “Aiutare I bambini” Foundation has already helped them with the construction of a house for the prevention and the cure of children affected by AIDS. This project was completed in September 2008 and the results have been favorable. The house has already started to receive some children. The house can accommodate up to 10 children from 0 to 12 years of age, in extreme cases also up to 14/15. It comprises five bedrooms with bath, a big kitchen, a large common room used as living and dining room, a verandah, a garage and a laundry with a courtyard. In the last three months the nuns have organized a structure mainly for small children (which they were not expecting to receive simultaneously as in the present moment) with cradles, go-carts, boxes, wrapping desks, high-chairs etc. The care home continues to be recognized only as a shelter ( children should remain for a maximum period of three months which can be extended only in case of emergency), as the present legislation does not allow the presence of more then one care home in the same city, and in Oudtshoorn there is already another one. A new regulation (which will enter into force in the next months) will permit to give hospitality to the children for longer periods and above all will give to the nuns higher monthly grants. Not all the children are AIDS sick. Some of them are coming from a family context of need and poverty, in which there could be the possibility of an infection and therefore the necessity to move the children in a more secure and quiet environment. At the end of this project the Partner has proposed to “Aiutare i bambini” Foundation to continue the cooperation on another activity: the equipment and the support of “Casa Betania”, a nutritional center. The structure is still in the same context. The project “Casa Betania”, which has received funding from the Nando Peretti Foundation, aims to fight child malnutrition by the daily reception of children and training on the nutrition of the families. Such project is in the framework of a program of child protection pursued through the fight of poverty, the reduction of infant-mortality and the attention to the problem of HIV/AIDS. The “CasaBetania” project intends to receive every day for the entire day 15-20 undernourished children of pre-school age (from 0 to 6 years) for a total of about 120 direct beneficiaries a year. The choice of the beneficiaries will be done on the advice of the Bridgton Clinic (Dag Hospitaal) which is running the public medical service through medical care, home assistance and hospitalization. Within the clinic there is a pediatric department; the children with problems of malnutrition are followed in a first aid station for lack of space, personnel and proper equipment. The clinic has provided support for family situations of children with problems of malnutrition and HIV diseases. It will cooperate, as far as the medical side is concerned, through the identification, the indication, the monitoring, the revaluation and the specialist pediatric advice for the little guests of Casa Betania. The intervention intends specifically to restructure and adjust a building purchased in 2007 by the Nuns of the Providence, the purchase of furniture and equipment needed for the reception and the feeding of the children. Together with the nutritional activities it is anticipated also an educational activity and on the spot training on nutrition, hygiene and self-subsistence (support). The congregation, owner of the building used as nutritional centre, will put at the disposal of the project two nuns, who will act as responsible of the structure and coordinator of local volunteers. The nuns, with the help of the local volunteers, will take care of the outfit and of the management of the house and of the coordination of the activities. 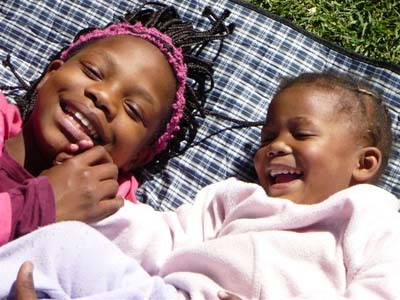 The centre, upon its opening, will be able to receive daily 15-20 undernourished children of pre-school age, coming in great part from blacks and mulattos areas, respectively in the quarters of Bridgton and Bongolethu, in the municipality of Oudtshoorn, for a total of about 120 direct beneficiaries a year. As for the number of beneficiaries per year, an average rough estimate has been made taking into account the variability of the stay of the children in the centre which varies from one to three months depending from the seriousness of the state of malnutrition, the timing of the recover, the possible complications brought by HIV, TBC or other illnesses and from the family conditions. The achievement of the nutritional centre will have positive effects on the entire local community. In fact the greater consciousness of infantile nutrition acquired by the parents or the tutors of the children, will have positive effects on the children and their respective families.